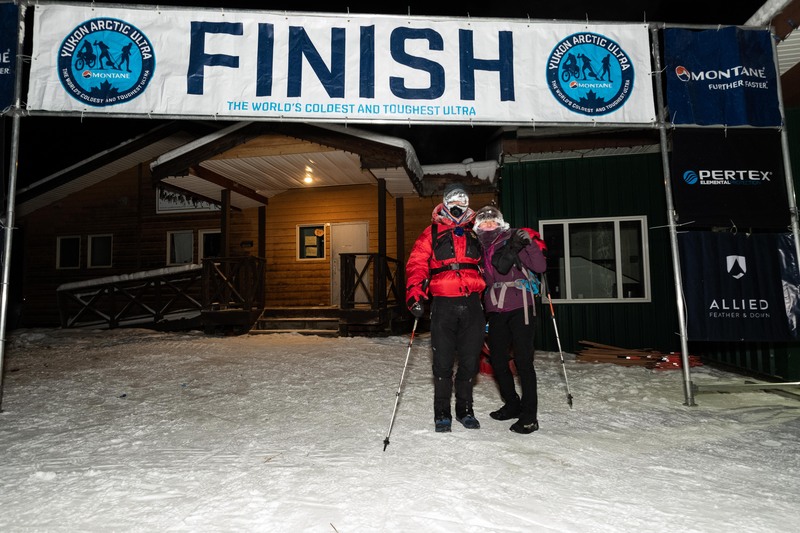 At 01:35 tonight Gareth (UK) arrived at the Pelly Crossing finish line. This means it took him 183 hours and 5 minutes to get her. He ranks 1st man and 2nd overall. Gareth has had a great race, always saying how much he loved it out there on the trail. Right now he is resting and he will drive back to Whitehorse with his sister tomorrow.